For many people — myself included — writing is hugely therapeutic. Not all writing, of course — some of those term papers I wrote in college were far more anxiety-inducing than relieving, and it’s not like every email I send takes a weight off my shoulders. But there’s a reason why we love journaling so much. Science has proven that it’s got all kinds of benefits. We at FBG aren’t the only ones who are preaching about the power of writing, of course. Recently, we were introduced to JamBios, an online journaling website designed to help people who’ve gone through painful life experiences and want to use expressive writing as a type of therapy. Beth Carvin, the CEO of JamBios, agreed to answer a few questions about how expressive writing works, who can do it, and whether there’s anyone who should steer clear — because, guys, the pen truly is mighty, and when it comes to using it for therapy, there are some things you might want to watch out for. What, exactly, is involved in expressive writing? Is it any different than what many people would call journaling? 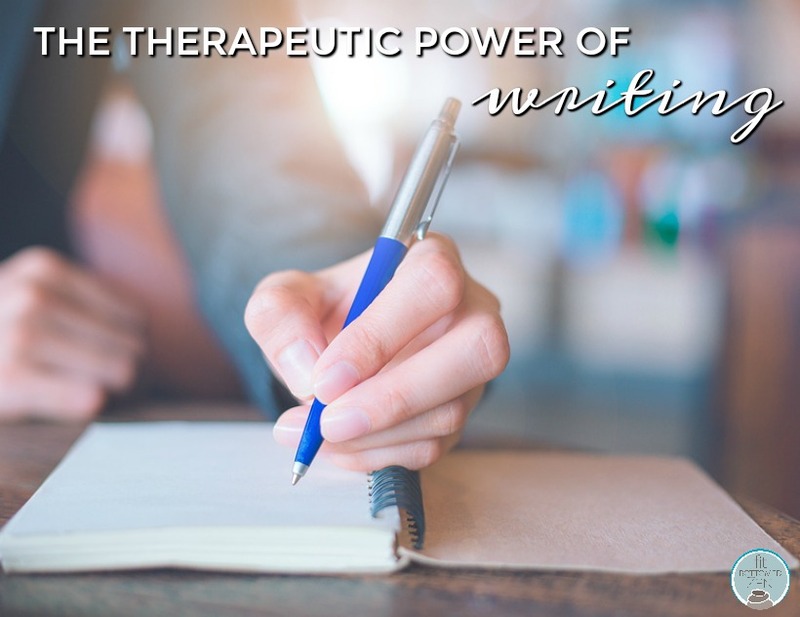 Beth Carvin: Expressive writing, also known as therapeutic writing (and sometimes “scriptotherapy”) is different from journaling, though some people might naturally journal in this way. Expressive writing is writing freely one’s deepest emotions, thoughts and feelings about a particular event or topic. The writing is done continuously for a period of time (generally 15-20 minutes for 3 or 4 days) without worry of sentence structure, spelling and grammar. I like to think of it as writing deeply from the heart. Is expressive writing as therapy something that can benefit anyone? Is it particularly helpful for people with certain issues? As you can see, these kinds of benefits can help a wide range of people. Most of us, even the happiest, have some emotional events in our past that we may not have completely worked through, even if we don’t know it. How does this help people who have gone through painful life experiences? BC: There are a variety of theories on why expressive writing works so well. Some researchers believe that it turns those painful life events from a sensory experience into a concrete narrative that our brains can then set aside. I think of the painful experiences as being like a cloud or vapor that is always around you without you knowing it. We can’t grab a hold of it. Therefore a part of our brain is always having to deal with it. Our working memory, which helps us perform tasks, is always bothered by it. When we write expressively, that cloud turns into something solid. Researchers believe that language and structure turn the untenable into something solid that can be stored appropriately. It no longer annoys and uses up our unconscious processing power. What are the biggest challenges people face when they first start writing as therapy? BC: Experts in expressive writing warn that some people may have a difficult time writing with emotion. They turn their writing into an essay on a subject quoting philosophers and writing like an academic paper. Instead, they should endeavor to write very personally about the event and examine their deepest thoughts and emotions. They can describe the situation, how they felt when it occurred, how they feel about it now, how it affected their life, what they have learned, lost or gained as a result of it, and how it will impact their future. Is there anything people should know before they begin? The greatest benefits may happen when you write about something that is secret or of which you are ashamed. It’s okay to feel a little sad afterwards, just as you might feel after reading a sad book or watching an emotional movie. You can write freehand on paper, type on a computer or use an online memory platform like JamBios. You do not need to share your writing. You can even throw it away or delete it after you’ve written it. Last, a word of caution: if someone is extremely distressed and writing about a particular topic is going to trigger an acute response requiring hospitalization, they should not do so or stop immediately. Good information, You provide thanks for sharing it. I couldn’t agree more with your article. When I was a child, I had a diary and every day I used to write about what was happening in my life, especially those things that were the most significant at the time, which ended up being the most memorable. I used to be secretive and through writing, it has helped me express my emotions.